Just as how the mainline Pokemon series started to become bloated with legendary beasts around Generation 3, Pokemon Go will be introducing a few more legendary creatures into the mix. 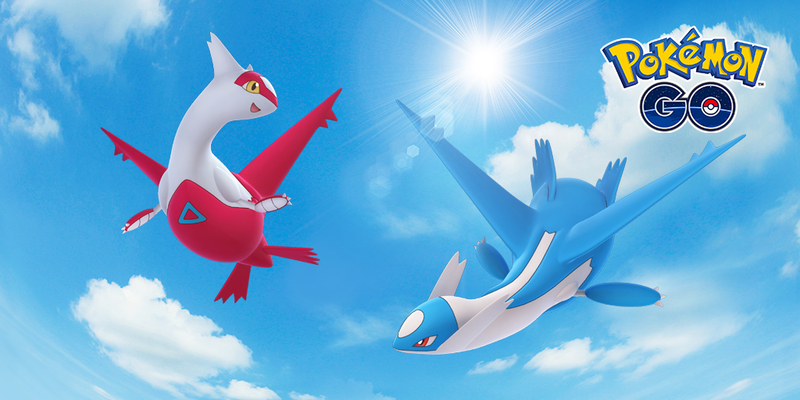 Latios and Latias will be available starting today for a limited time during raids. For a month long period, Latios will be exclusive to North America, South America and Africa while Latias will be seen in Asia and Europe. On May 8, the two will switch positions before disappearing on June 5. In an effort to help trainers actually nab these two dragons, Niantic has stated that Pokemon with moves strong against dragon types (such as Mawile and Tyranitar) will also be appearing more frequently in raids while Latios and Latias are available. There are no mentions of the CP levels for each creature, but seeing as how other legendary monsters are around 25,000, I'd guess that (and then cry that I can't actually catch them).